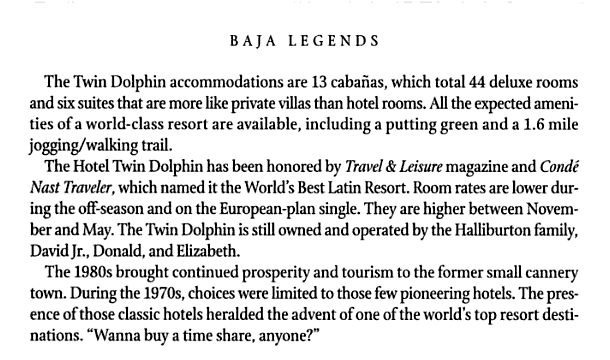 The Hotel Twin Dolphin opened during 1977. 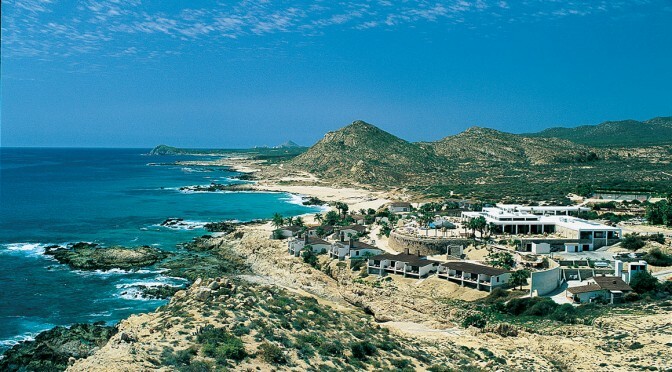 It sat on part of 160 acres on a secluded beach adjacent to Bahâ Santa Maria. 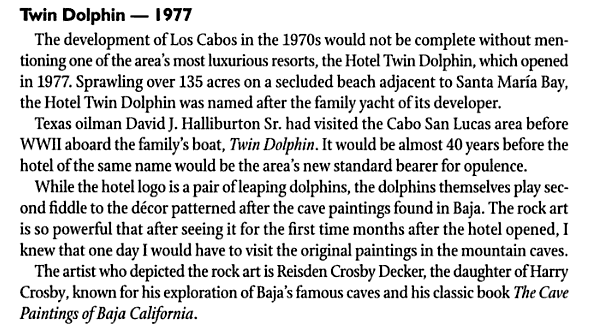 The Hotel was named after the family yacht of its developer, Texas oilman David J. Halliburton Sr. 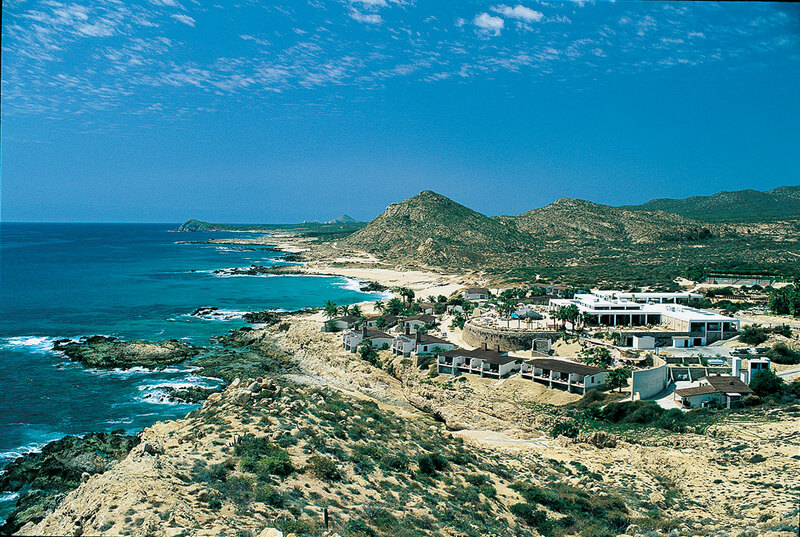 The hotel was closed around 2006 and the buildings were demolished. 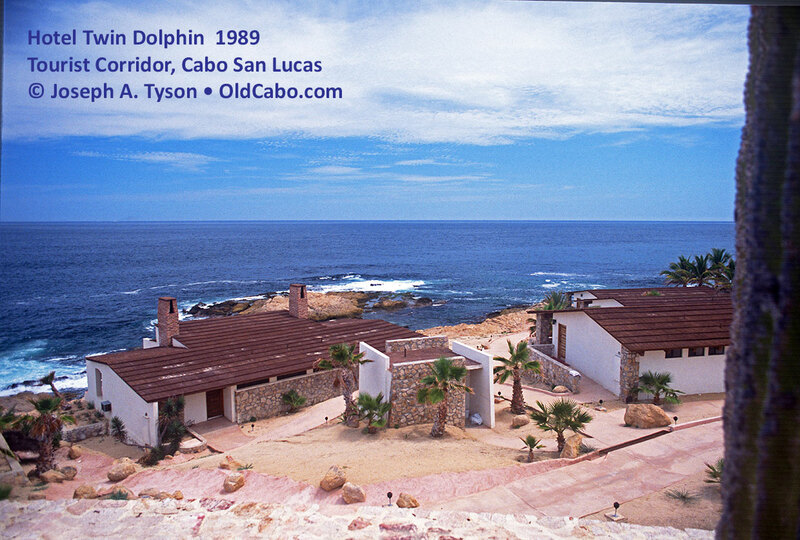 The above image was used for a Los Cabos post card for many years. 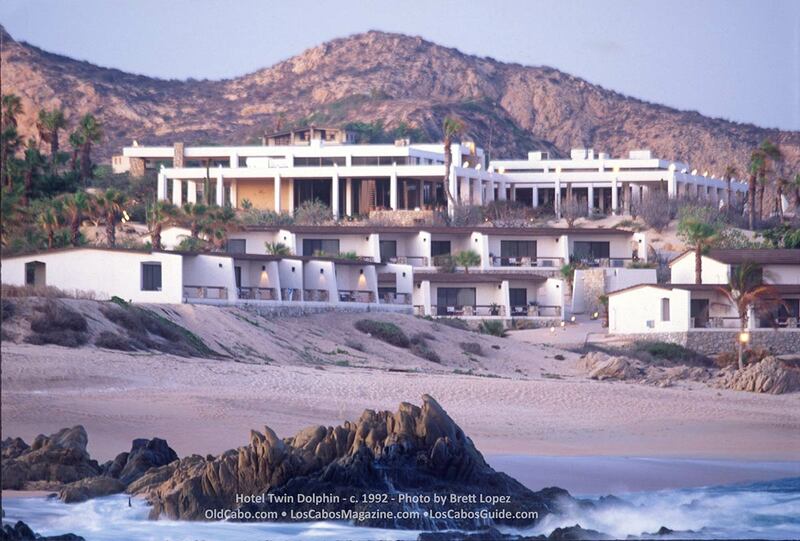 Twin Dolphin Beach was named for the hotel nearby that was closed in 2006. 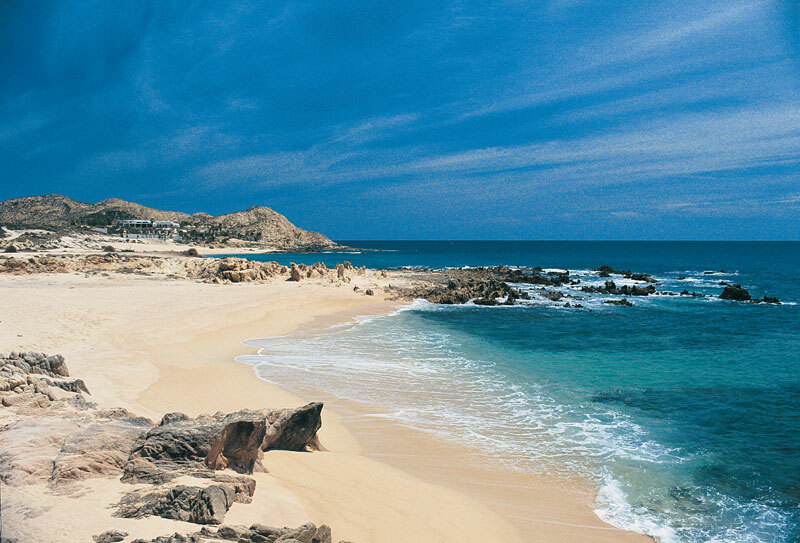 This beach is correctly named Playa Las Viudas or Widows Beach. 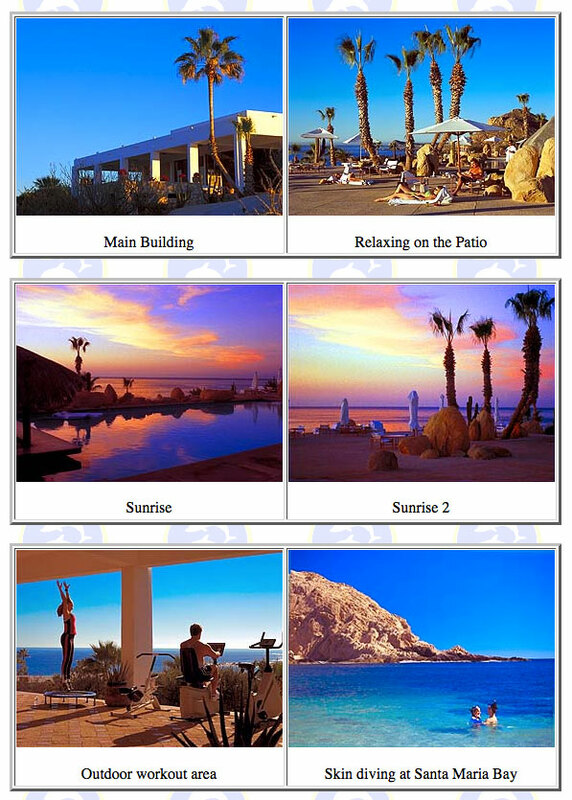 Screen capture of hotel web page from February 2006.